Hi, hope this finds you well. Just to remind you that it is our Harvest Festival this weekend - 4th October at 10.00 am. 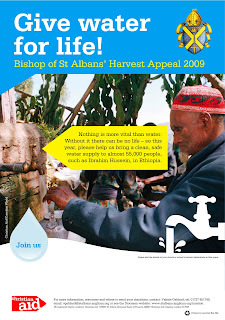 Please do bring with you traditional harvest produce but please do also bring with you some extra money to support the Bishop's Harvest Appeal (see poster attached here) as we raise money to help people in Ethiopia. More details on all of this here.